OK, so I lied a bit... 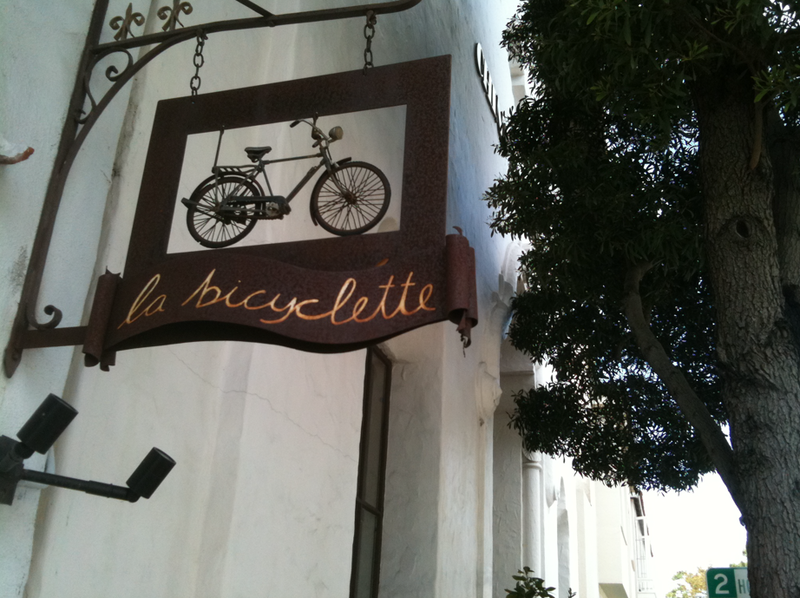 I WAS working on some bike related stuff during the last couple of months of silence. Here is my first prototype of an electrified Raleigh Twenty! 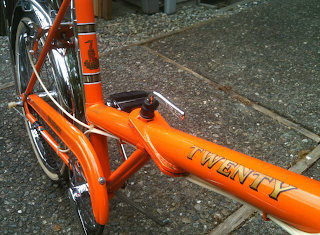 As any reader of this blog knows, back in July 2010, I picked up a blue R-20 with a single speed coaster-braked rear hub from a young lady in Redmond. The bike had some serious condition problems, so I stripped it down and made it a single speed street machine. I painted it out in black metallic Rustoleum, installed a paired wheel-set from a Specialized kids dirt-cross bike (also single speed and coaster-braked - needed to file out the front drops to get the wheel in, but the rear fit perfect) and cut the frame according to Sixty Fiver's instructions on the Raleigh Twenties web forum to install a threadless headset. New Brooks B-66, Challenge bag and leather disc grips make up the bling! So this bike was fun to put around on, but I had visions of it being an electric scooter someday. -I didn't care about speed. I wanted a bike that could go on its own at a respectable speed, but would basically be a rider, a bike that I could pedal for real and "boost" from time to time. After a bit of research, we came across the Clean Republic systems. These are 250 watt brushless front hub motors with your choice of sealed lead acid (SLA) or LithIon battery systems. We purchased it at EBikes NW in Seattle. We opted for the LithIon system which was more expensive, but claimed a 20 mile range (versus 10 for the SLA system) and a longer overall battery life of 4 years (versus a 1 year life for the SLA). 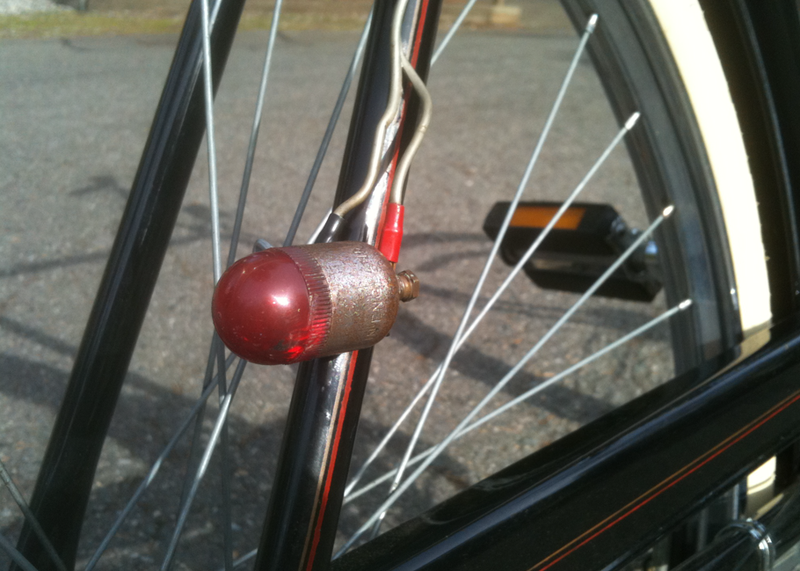 - We needed to have the hub laced into the 20" rim that already existed on the bike. I really want to learn how to lace wheels, but I wasn't up for the challenge yet. 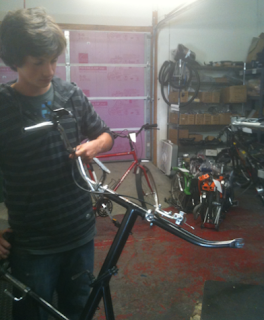 - We needed to have the fork cold-spread to accommodate the wider hub. This was a bit of a trick. The fork couldn't just be spread because the fork drops would be too angled to thread the wheel onto. It had to be spread then bent back perpendicular to the ground. Basically this was done by spreading the forks first, putting in a block just above the point where the top of the hub would sit and compressing the fork ends back to vertical. I didn't see this happen, but would have liked to witness the process so I could attempt it myself. Once we took possession of the bike and the battery/cables/hub-wheel, we did the final install and cable tying. It was pretty easy. 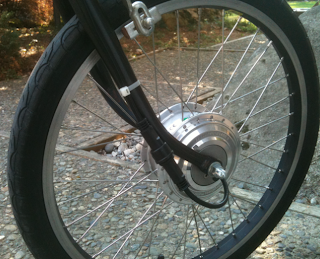 Below are close up photos of the front wheel, now with an electric motor hub. It looks like a slightly larger version of the Sturmey Archer Dynohub!! The cable system is a Y-configuration setup. There is a larger metal connector that fastens to the battery/controller unit. It then splits into one line that has the throttle switch and the other connects to the hub. Super simple to install with zip ties. I only had three black zip ties in my shop, so I used them on the frame and, seriously, black wires against black frame with black zip ties... the cabeling is basically invisible!! I still have a few more white zip ties to replace (you can see one on the fork). 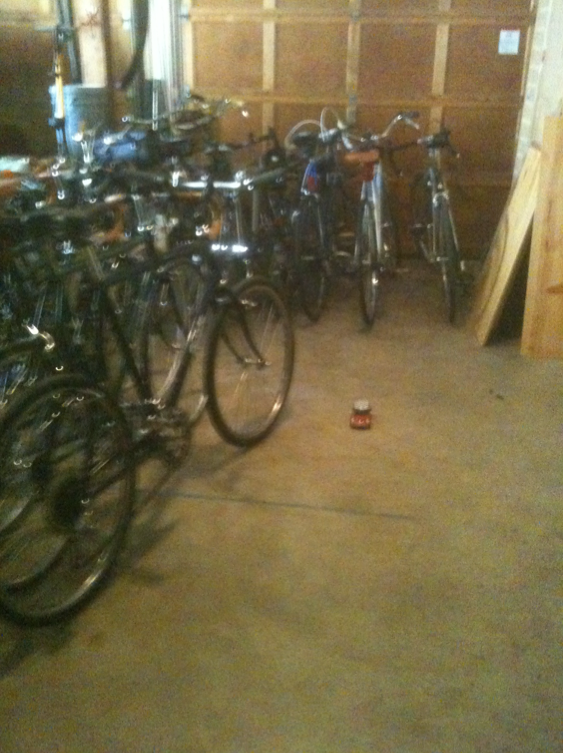 Once I've replaced them all, you'd hardly know there is cable running on the bike. 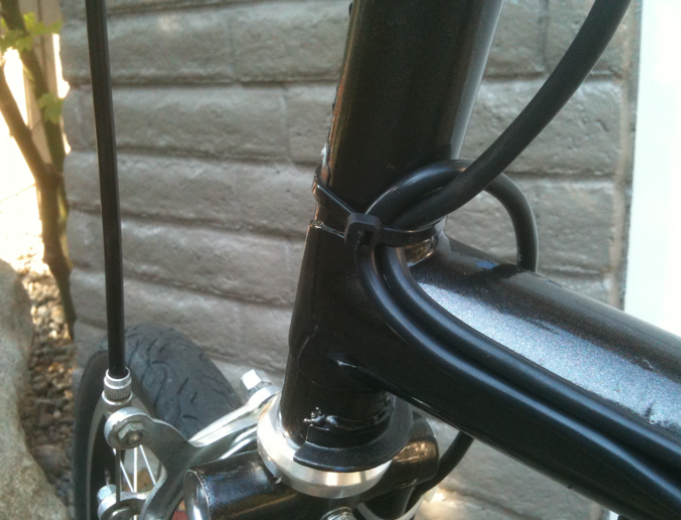 You need to leave some slack around the area where the head tube attached to the down tube so the handlebars can swivel. I also opted to make the cable tight at the folding joint (which essentially makes the bike into a non-folder now). 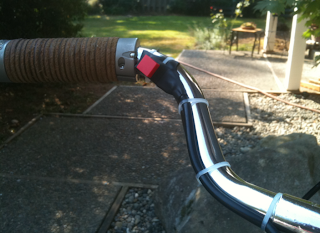 The actuation switch is mounted to the left handle bar. It's just a red button. Push it and go. It comes with a velcro attachment that, frankly, was a fail from the start. It kept slipping. Eventually, I wrapped the bar in a bit of old inner tube and zip tied the switch over it. Perfect. It doesn't move at all. - Press the button and go. It's that simple. There is a switch on the battery/controller unit that must be in the "on" position before the thumb switch will work. This is a nice safety feature. The thumb switch is pretty sensitive and you wouldn't want the wheel to go accidentally. I'm getting in the habit of turning the battery off after using it. -There is a bit of hesitancy from when you push the button and the wheel goes. Not bad, but it isn't an instantaneous power add. You need to think ahead just a fraction of time before when you need the juice. 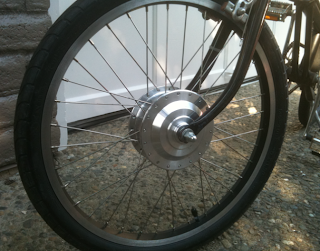 - The wheel motor is 250 watts. 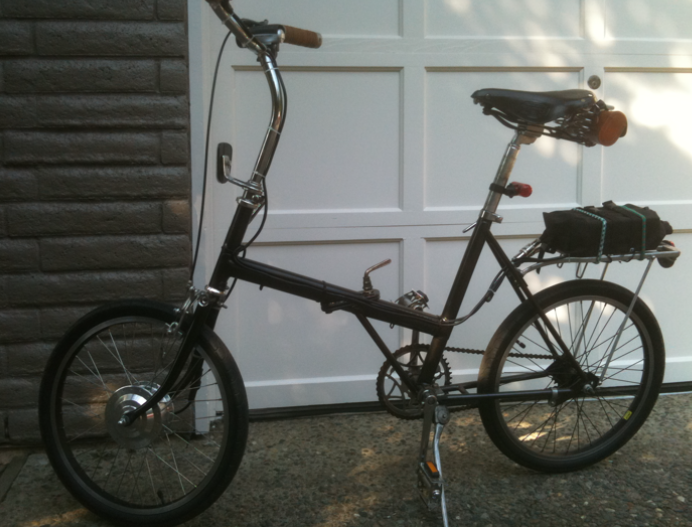 DJ at EBike NW put it this way: "A person on flat ground riding generates about 100 watts. 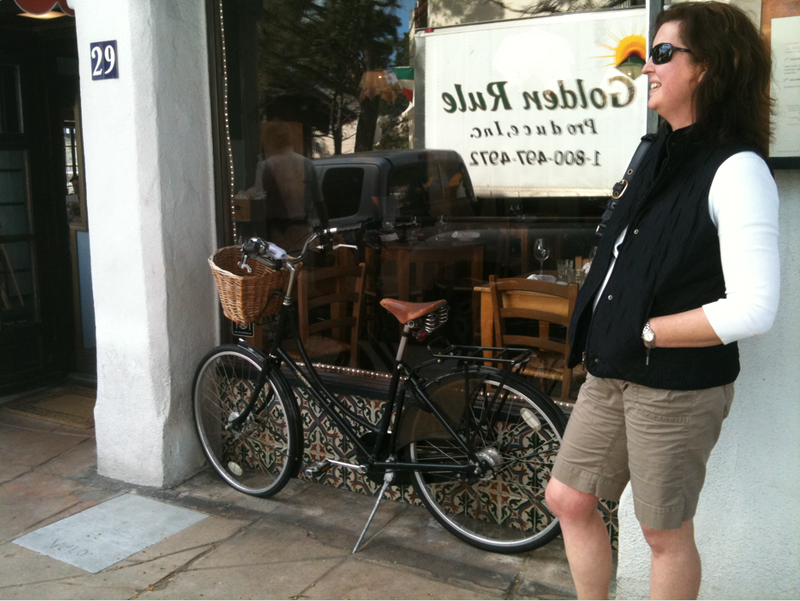 This motor adds 2.5 additional people to your riding." And it feels about right. Two and a half additional people that only weigh about 12 extra pounds (motor is 6 lbs and battery is 6 lbs). 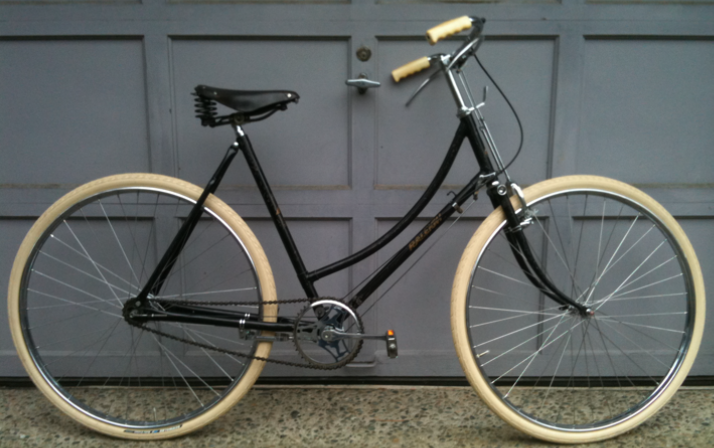 - When laced to a 26" wheel, the Clean Republic site claims a 15 mile per hour top speed. Some people using the kit on 26" say they get 17mph. The smaller wheel means not as much distance traveled per revolution, thus a slower top speed. I do not have a speedometer on this bike, but I'm estimating it tops out around 11-12mph. Based on this chart (its in green about halfway down the page), you multiply the 26" wheel speed by 0.769 to get the max 20" wheel speed. 15 x 0.769 = 11.5mph. 17 x 0.769 = 13mph. These seem about right. - My only complaint is that there is something rattling around in the battery storage case, which is made of ballistic nylon. The straps are tight, so I'm not sure what is making the noise. I'd like to remove the battery/controller from the case, but the switch is integral to it (see below) and I'd need to break it. 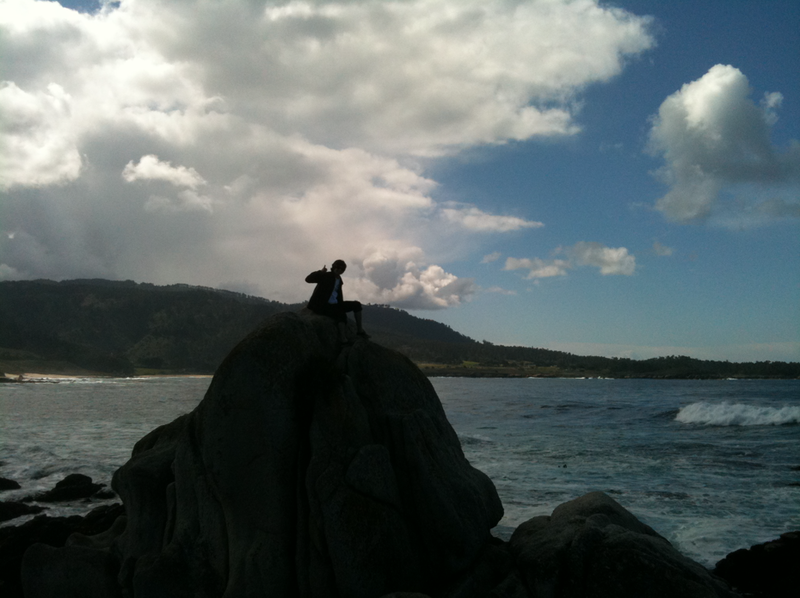 I'm going to someday, but I'm not ready to yet. My son and I plan to create a custom battery/controller case (probably in a steampunk style!) to hide the battery. The case will be firmly mounted to the Pletscher rack on the bike and weatherized. The case is going to be made out of 1/4" marine grade plywood and varnished. 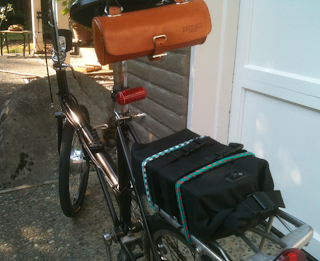 I'm planning on attaching some pannier mounts so I can add grocery-getter baskets of some kind. This has been a really fun project and the bike is a hoot to ride. Let me know if you have any thoughts or questions! It's been a long fun summer of family doings. I've spent a lot of my free time working on home projects that have been put off for far too long. 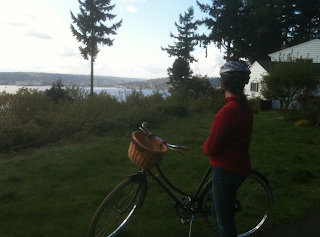 Now that fall is in the air here in the great Pacific Northwest, I'm ready to get back into my bike mode. For any of you who know me, I'm very much a BIG PICTURE thinker. I loved philosophy in college and am very much an "idea guy" when it comes to my strengths in life. Now for the back story.. There is ALWAYS a back story, isn't there? 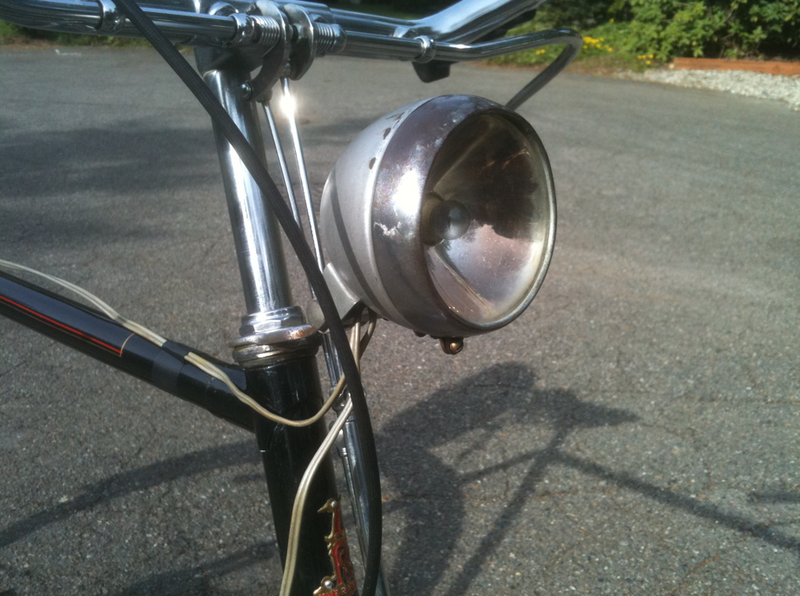 I have recently been searching the interwebs daily looking for a very specific bicycle. 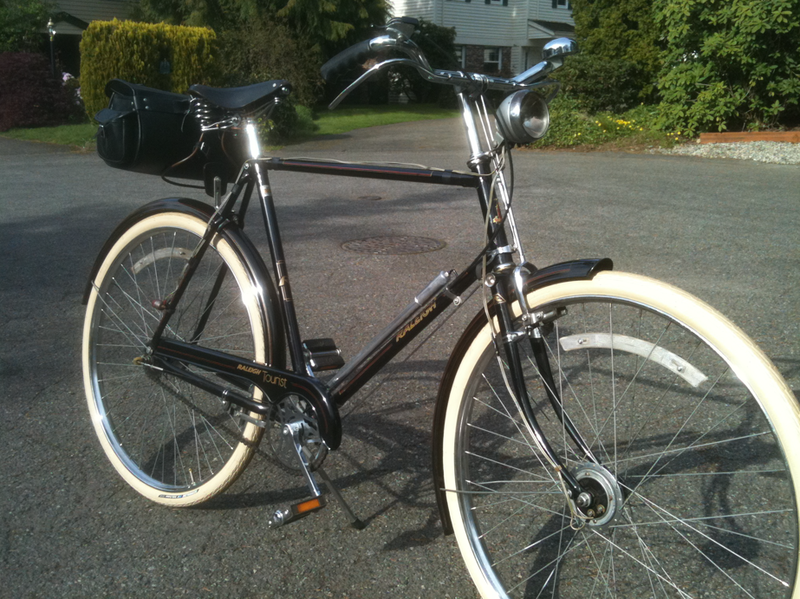 I would love to get my hands on a Raleigh Lenton Reg Harris from the mid 50's I've set up auto-search and RSS on "Lenton" and "Raleigh Bicycle" in the local and regional Craigslists and eBay looking for this hard-to-find bike. 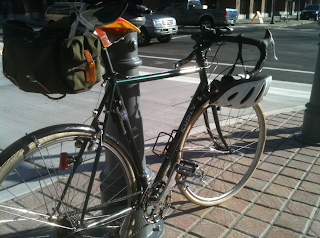 I'm not sure why, I just love the idea of setting up a three-speed touring/road bicycle. I'm getting sick of derailleurs and shifting 12-21 speeds... I find I only use three of them anyway. But I digress. 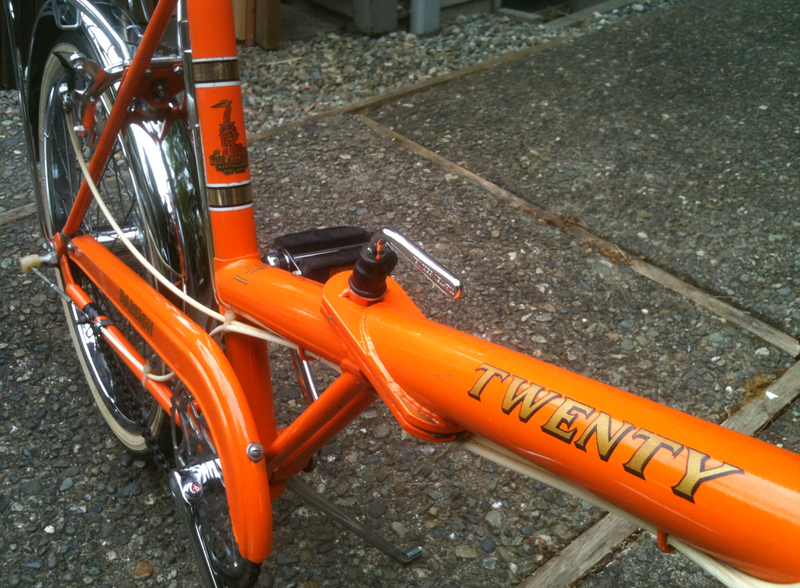 Yesterday, I came across a post in the local Seattle Craigslist for "a pair of Raleigh Twenty's." I usually have pretty good will power NOT to look at these ads, because, well, they are just TOO tempting. Not sure what prompted me to take a peek, but once I saw the pictures, I knew I was doomed to have a lighter wallet.. 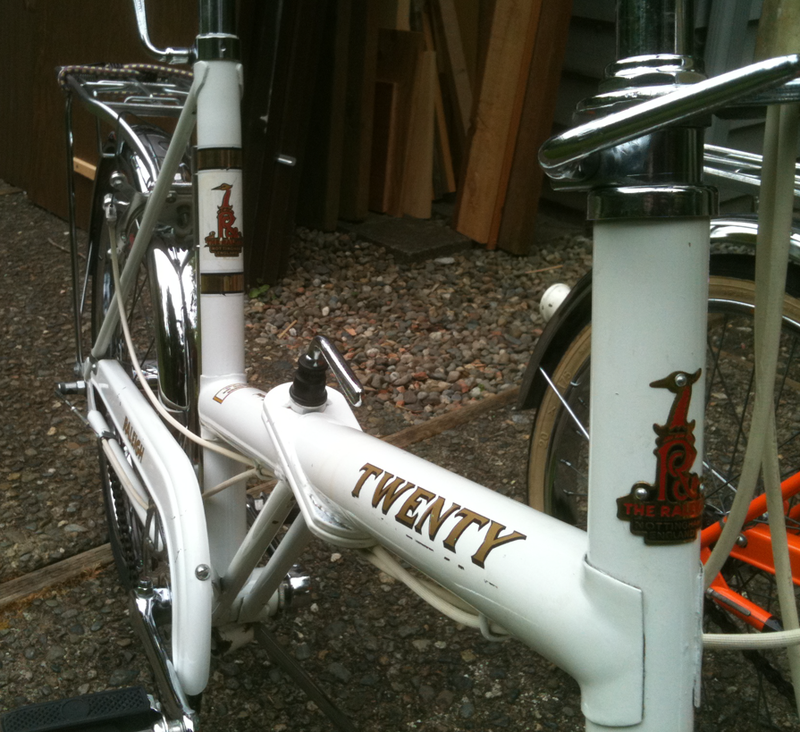 I knew there were white Twenty's, but I had no idea there were ORANGE ones!! 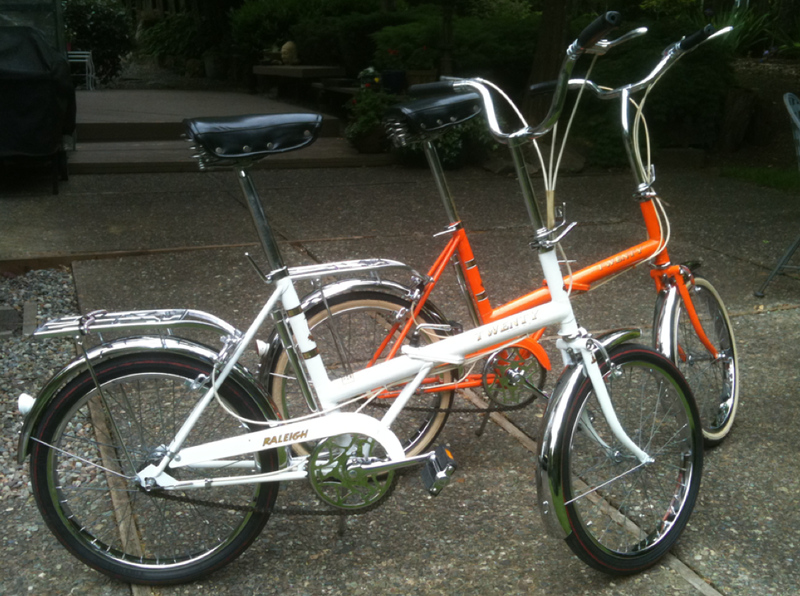 Does anyone know the complete color palette of these bikes in the US? Pair the unique colors (and I had neither one in my current herd) with the fact that these bikes were IMMACULATE in terms of condition, and I was hooked. 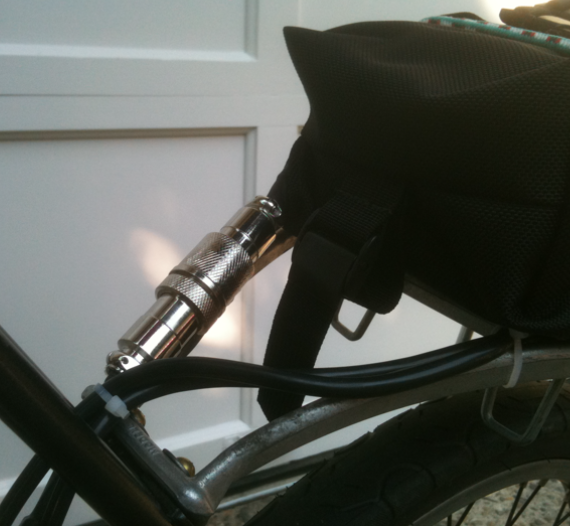 Both bikes have pristine aluminum air pumps. The decals are like new and the paint shows no signs of chalking. Sure there are a few small blemishes and a tad of yellowing of the decals on the white one... but hey, when I was that age, I had worse scars. Here are a couple more shots just to give you an idea of how nice these bikes are. There isn't even a speckle of black grease or dirty oil on the hub. 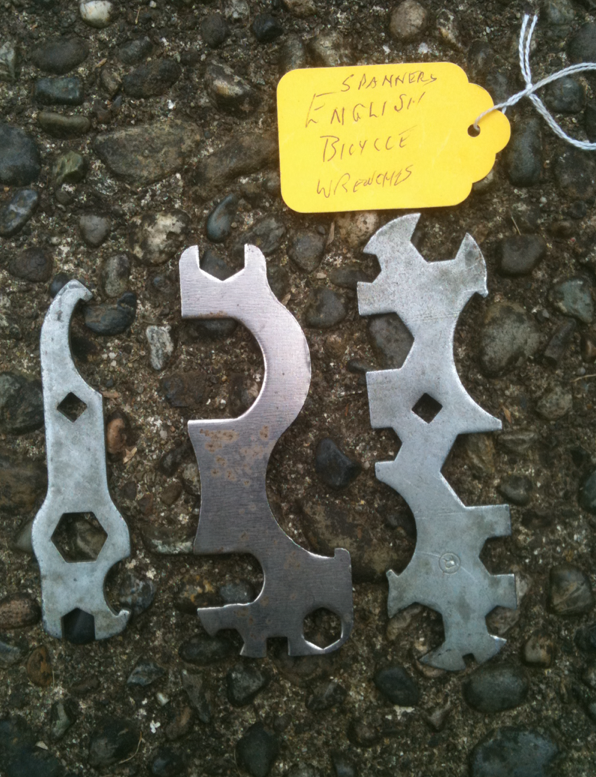 And in terms of wear, look at the pedals. The rubber is perfect. 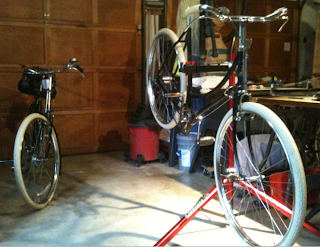 I purchased these bikes for $150 each from a very nice guy named Doug. 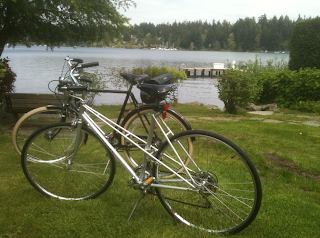 According to Doug, these bikes were his late parents and were purchased by them in the early seventies at a local Seattle bike shop - Gregg's Greenlake Cycle - it's still there. 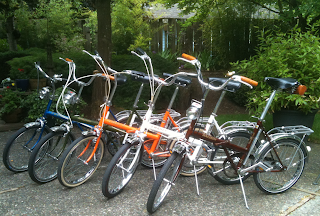 "They just tootled around a bit... we took them to Stanley Park in BC once or twice... and then they ended up in the garage with a sheet over them for 40 years.."
In addition to the bicycles, I also got some other stuff. A couple throw-away baskets for the front. But the most impressive thing was the original "Assembly Instructions...." and a set of Raleigh-specific "spanners.". It's been over a month since my last post, and in what you would think is the prime season for cycling! There have been many changes recently that have kept me from the keyboard. In addition, the weather here is Seattle has been downright crummy for biking. Cold and wet. One of the coldest and wettest springs I've ever experienced here. The biggest change... I'm now officially retired. The change in employment status was my doing... for "family reasons." It has been a tougher transition than I thought it would be. I thought having some extra time would mean more cycling. It has actually been the opposite. 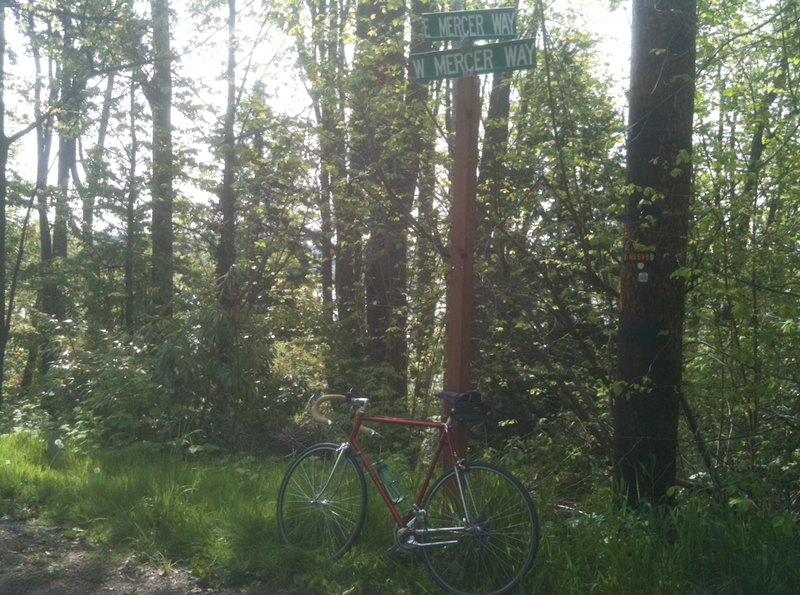 Much of my riding was commute-related and now that I don't commute, getting out for a solo ride seems like an indulgence. As I get more used to it, I think I will be getting out more, but the transition has been challenging. I finished up the Ladies Tourist. Not a very good picture up there, but you get the idea. 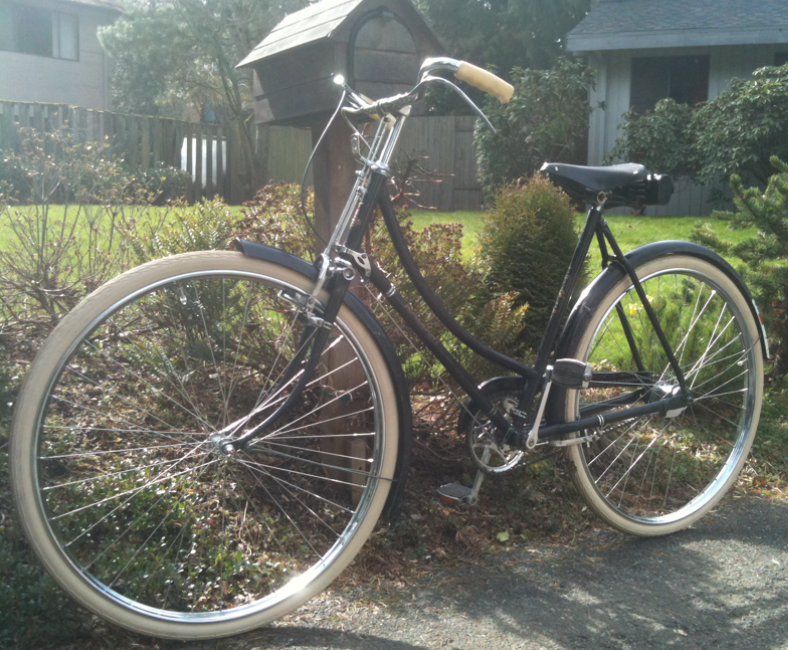 New wheels, tires, brake blocks and saddle brought her all back to life. And best of all... the wife seems to really like riding her! It hasn't been completely miserable here... We have gotten out on a few rides. The top picture is the Gent's Tourist and my bride's Nishiki Mixte at the north end of Mercer Island, near Luther Burbank Park on a rare sunny day. 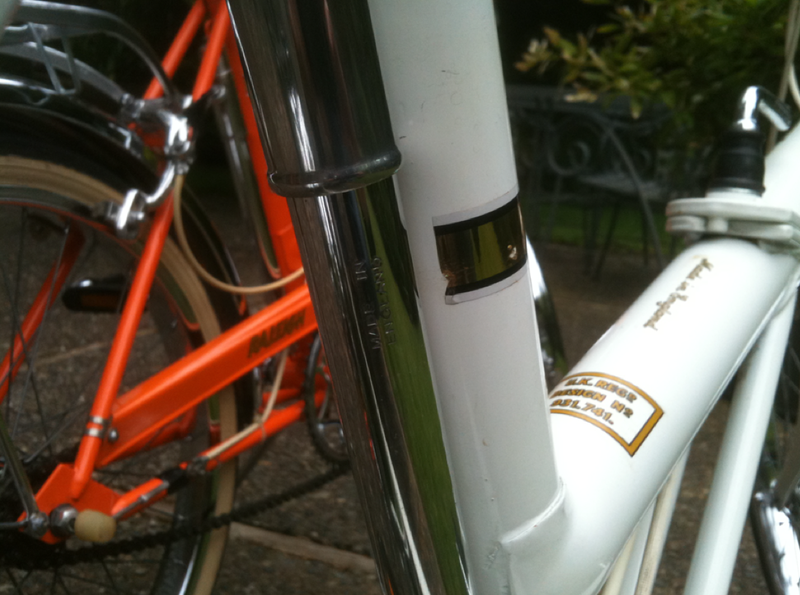 The lower image is of my Faggin road bike, now with a Brooks Team Professional saddle on it. 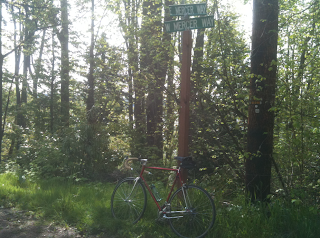 I was on my first solo ride since retiring and stopped at the farthest south you can ride on the island, where East Mercer Way and West Mercer Way intersect. I usually ride past this point thinking.. "I should stop and get a picture of this for the blog." Now that I have some time on my hands... I did. Well, that kind of catches us up. Sorry for the long post and I'm hoping now to get back in the groove of posting more frequently. ... can only mean one thing!!! After the required greetings at the door, hugs kisses and general catching up, I was allowed out to my shop. 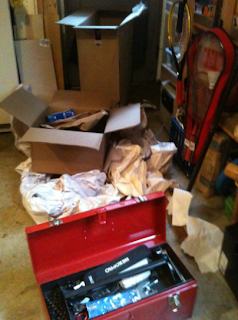 Two large boxes were sitting there. The chain had been lubing up in a tray the whole week after a good de-greasing and wire brushing. It looks new! 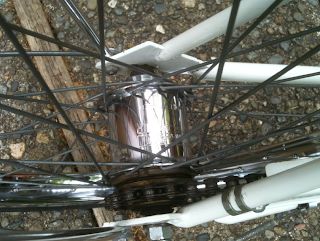 The 3-Speed Coaster Brake hub is gorgeous and seems to work fine. It will need some adjusting for sure, but seems to shift pretty well. First... The wheels are not true! Either they got banged around a bit or the spokes stretched during shipment... I have some work to do on them. Second... they shop forgot to send the brake shoes.. so I don't have those. 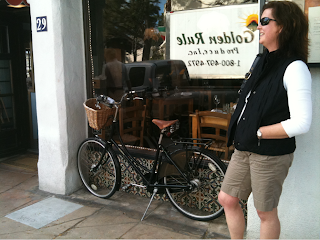 Here is the glamor shot, with her wheels on and a vintage brooks B-66. Still a ways to go, but its coming together. The Ladies DL-1 Tourist is coming along, slowly but surely. I've been working on cleaning the frame and the chrome bits. There isn't too much more I can do until my two big orders come in. I'm waiting on wheels and rod brake connector bolts from Yellow Jersey. 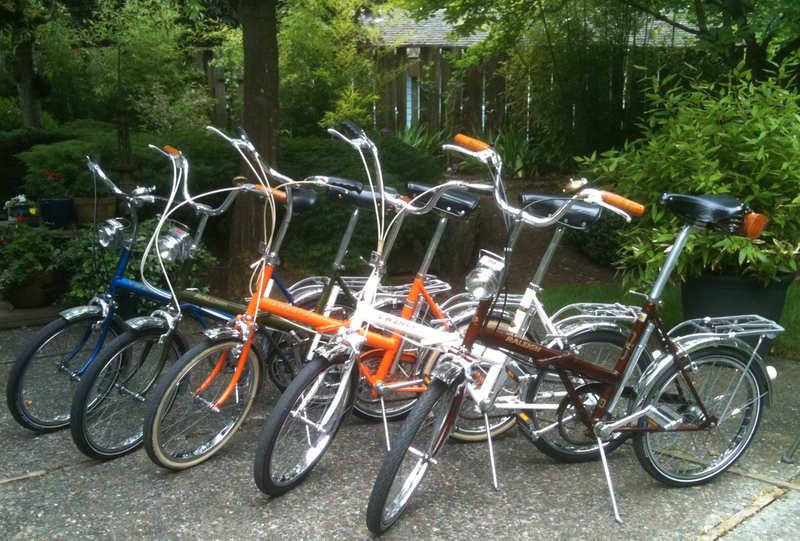 I have a set of Delta Cruisers and a saddle coming from Wallingford Bike in NOLA. I did order a couple small bits from Jon at Gentleman Cyclist- a steel cable roller and steel cable stop to replace the plastic ones that were stock on this bike. Here is the steel cable stop from GC... Nothing too exciting, but they don't break and the stock one was a bit cracked. This is the steel cable roller from GC. Again, the stock one was plastic and trashed. The shifter was missing the plastic cover. Luckily, I had an extra really nice clean one from one of my Twenty rebuilds. 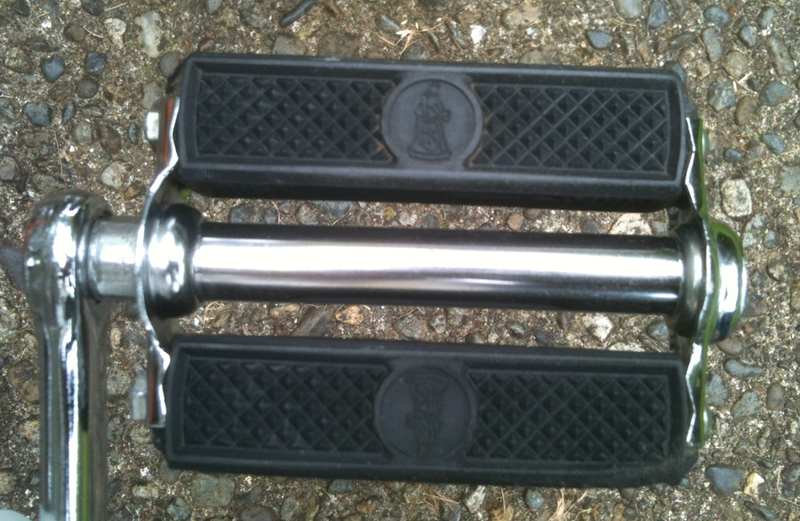 "P" had sent along two sets of the "oval" pedals. They were in pretty bad shape and I needed to go at them with a wire brush mounted on a drill to get most of the rust off. They look pretty trick now. One has a slightly crackled reflector, hardly noticeable though. That's it for now. I'm very much looking forward to getting the wheels back on this girl. I'm thinking I will immediately put on the 21 tooth rear sprocket on the hub. My wife isn't going to be riding this one fast. She'll appreciate the lower gearing, at least to start out with. Making some headway... This is the bike I'm working on for a co-worker's wife. The bars are now converted, new brake levers, shift levers, new cables and housing for both shift and brakes, new tires and tubes and general cleaning and polishing. It is coming along real nice! So the question is... I'm in it for a couple hundred now. Extras MIGHT include: basket, saddle, new pedals, but would add to the cost. Let's chat Hal..
- General cleaning and a coat of Turtle Wax. The chainring had build up grease and dirt that required a wire brush on the end of a drill. - Boxed up my 3-speed coaster brake and front hubs for shipping to Yellow Jersey in Madison. Here she is on the stand right out of the box from Toronto. Hard to tell from this angle, but the form is bent a bit. One tine is a little lower than the other. 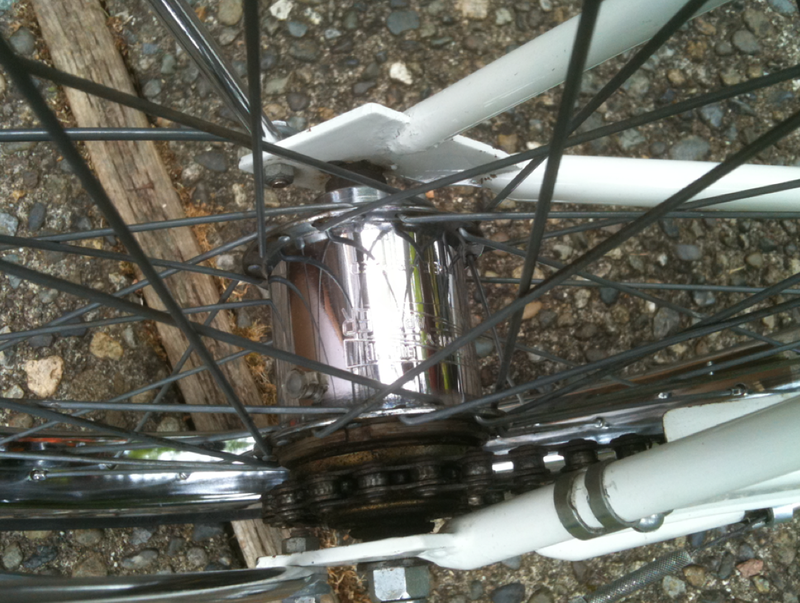 Here is the SA 3-speed coaster hub in the frame with the chain on it. The chain looks serviceable, but desperately needs to be degreased, cleaned and lubed. Fork, stem/handlebar unit and chain removed. The bottom bracket spins freely and since I do not have the tools to remove it and repack the bearings, I'm leaving it as is. Here is a view of the frame from the head tube down... The headbadge was lifted up a bit on the right side (as you ride the bike) so I used some maximum strength construction cement and clamped it down. Worked pretty well. I had to trim a bit of residual off the frame. You can see the many scratches... My current plan is to just leave them as is and not try and repair the finish. I've never had good luck doing this. Looking down the chainstays. Look at the grease and dirt!! The crank arms are pristine... no rust, just dirty grease. They polished right up with my favorite tool... WD-40 soaked 000 steel wool! Here is the bad part... The paint has taken a real beating. There is pitting all over the frame, scratches and nicks. The frame is true - no dents or bends though. Since the back wheel is gone, I cannot date this girl. There is no serial number that I can find either. 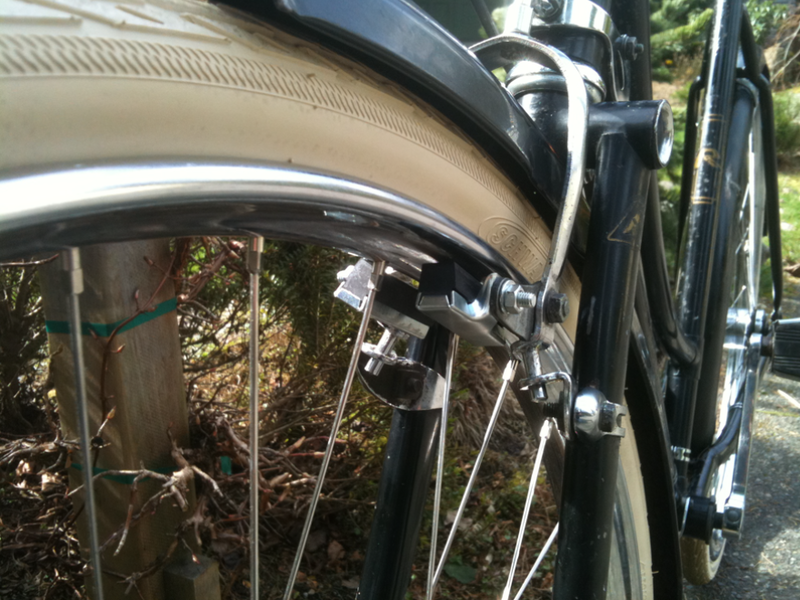 The cable stop and the cable roller are plastic though (I've already ordered the steel replacements for these parts from Gentleman Cyclist) The chain guard is "hockey stick" and there are NOT braze ons on the frame to hold it on. According to Sheldon's guide, this places it in the 1962-1967 range. The finish decals are identical to my DL-1 Gents version, which according to the hub is a 1980. Did they keep the decal set the same for all those years?? There is a bit of rust on the brake levers that doesn't clean up completely with WD-40 and steel wool... too bad... but it isn't that noticable. The shifter looks dirty, but workable. It's missing the plastic cover... luck I have a nice one left over from a Twenty rebuild!! 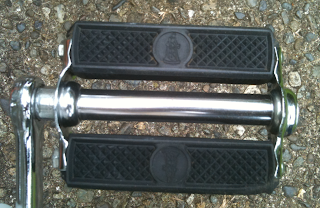 Here are the grips... in cream. They are pretty stained and dirty. I wonder what would clean these up? ?